2017 World Economic Conference - Tickets on Sale Now! 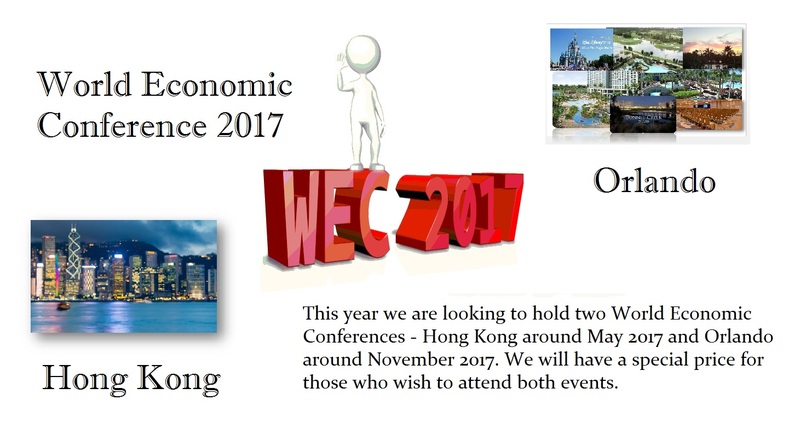 The 2017 World Economic Conference will be held both Hong Kong and Orlando, Florida. The Hong Kong event will take place May 20-21, 2017 following the French elections. Our important target this year is April/May so we are holding this conference in Asia and timed for the next round in the global economy chaos. Our second event for the 2017 World Economic Conference will be held in Orlando, Florida — November 3-4, 2017. This event is timed also for the German elections. The course of the world economy is being drive by this conclusion to this year from Political Hell. As we head into this political abyss, we must respect the fact that capital is being drive by confidence. No single country can possibly afford to look at events only domestically. As we approach 2018, these two conferences may prove to be the most important events we have ever held. Everything we have been forecasting since 1985 is coming to a head. As always, we try to keep these events reasonably priced and they are always held first class. This is about helping our loyal client-base. Tickets are $2,500 per event. Those who wish to attend both may do so for $4,500.